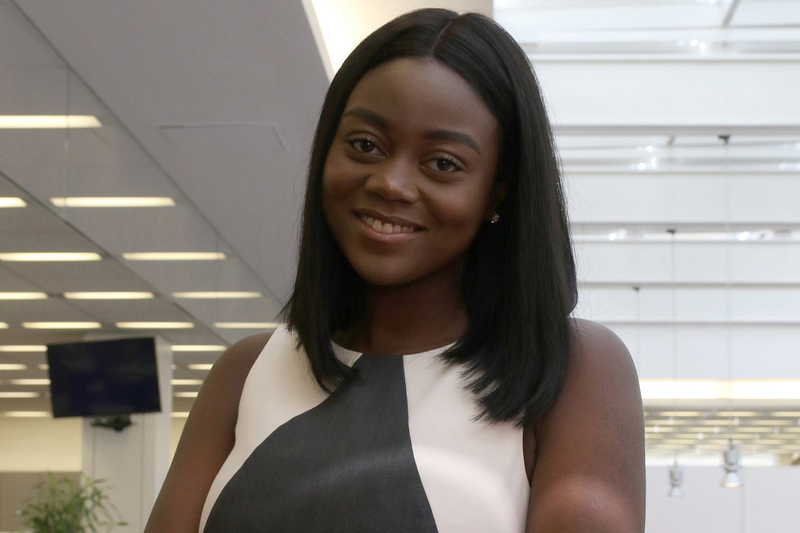 Beverly Danquah, 20, attended high school at the Manhattan Center for Math and Science, which is where she realized that neither subject was her strong suit and that her thoughts of becoming a doctor would come to a quick end. A counselor urged her to take a production class at the Manhattan Neighborhood Network, where she learned about broadcast news from in front of and behind the camera and fell in love with the adrenaline rush of fast-breaking news. Entering her senior year at St. John’s University in the fall, Beverly, who grew up in the Bronx, is studying communications with a concentration in journalism and a triple minor in business, legal studies and international studies. She is also the features editor of the university’s student-run newspaper, The Torch. Beverly hopes to go to law school, perhaps to study international law in Europe or civil rights law in the United States. She aspires to be a legal correspondent or legal analyst for a news organization. News stories often turn into legal stories or stories about changes in government policy, she says, and she’d like to help explain those sometimes complicated stories to a wide audience. In her spare time, Beverly produces and sometimes hosts events at the Apollo Theater, where she scouts talent for their events.